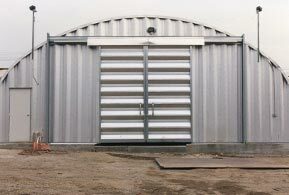 Idaho metal garage and building kits are custom manufactured in the Gem State for businesses and residential use. 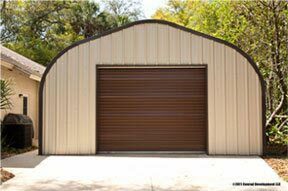 Idaho metal garage kits are pre-engineered building systems manufactured with a 40 year warranty. 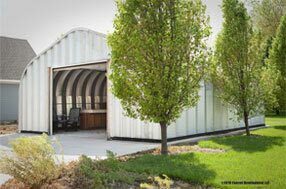 Custom design and price your Idaho metal garage, metal building kit or metal garage kits using our price calculator and get factory direct up to 70% off retail prices. Be sure to check out our metal garage clearance sale prices for garage kits we already have in stock. 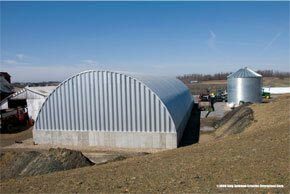 Metal Building Kings® building kits are guaranteed for at least 40 years and manufactured with your choice of 14 to 22 gauge 80,000ksi tensile yield carbon AZ Galvalume® steel and coated with aluminum-zinc alloy and silicon for 700% more rust resistance than galvanized steel. 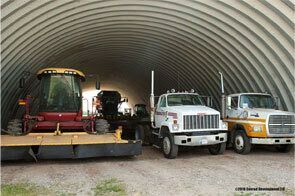 Metal garage kits sold for Idaho consumers are designed to sustain the harshest Idaho weather while maintaining the new look and integrity of the building's exterior. Choose from 4 different models that come in thousands of sizes with a variety of features and accessories. 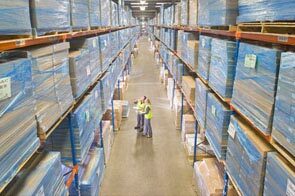 Metal Building Kings® distribution locations in Coeur d'Alene, Meridian, Nampa, Boise City, and Idaho Falls provide expedited shipping and delivery from our manufacturing plant of your building's components, accessories, hardware and instruction manuals to all 1.646 million residents in 44 counties state wide. 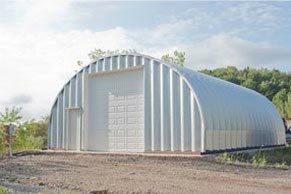 All our metal building kits come with a commercial quality paint specifically formulated for metal buildings. Available in several colors, it is a polyester coil coating protected by silicone which is Energy Star and LEED compliant. 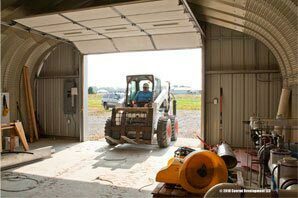 Custom Idaho metal building kits and smaller garage kits can be customized with insulated walk through and overhead doors, three types of insulation, slide windows, skylights, and ventilations systems. 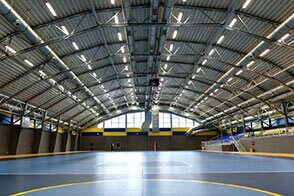 Our engineers and construction experts can help you with metal building customizations such as electrical designs, interior planning for specific uses such as sports arenas, riding arenas or retail buildings. 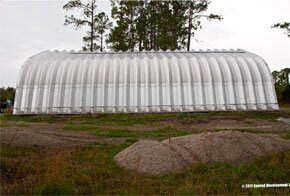 The quonset hut kit design is like no other because it is so expand and contract as your needs change. 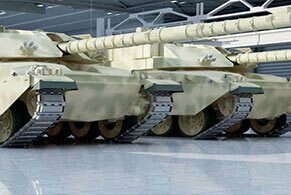 Disassemble the end wall and add on ior subtract new arches in 2' increments and reassemble either end wall and you can make your building larger or smaller. Read here for more on Idaho building codes. 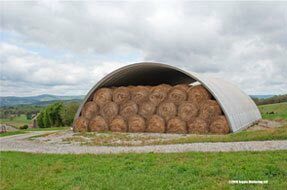 • Overhead Roll Up, Sectional, Bi Fold doors. • The P Model for Idaho workshops, residential and small business.